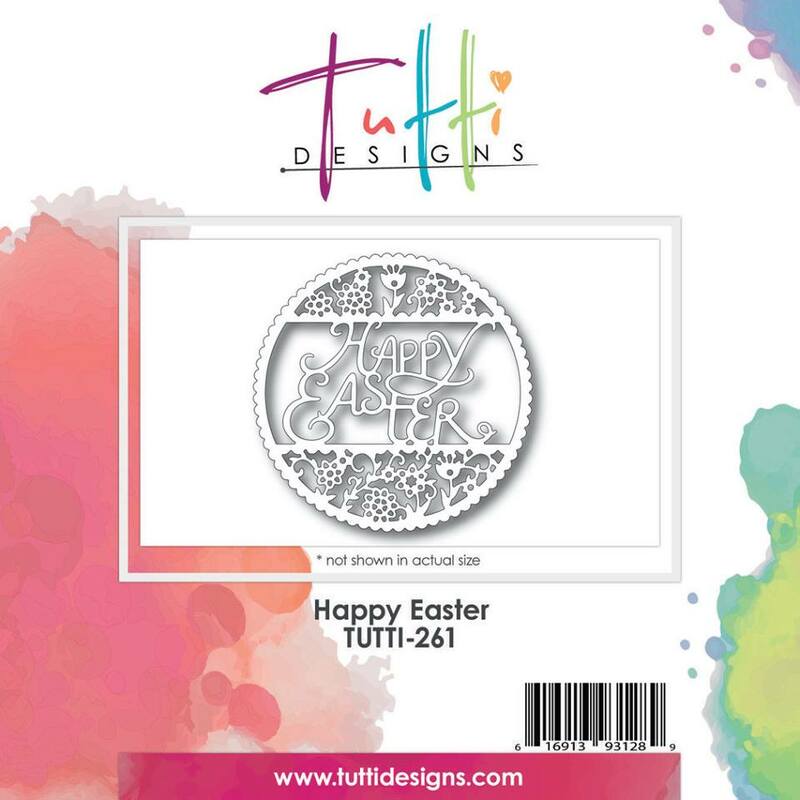 This week I'm sharing another lovely Easter die from the January Release. 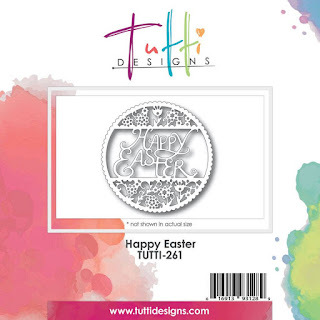 This one is called "Happy Easter", and you can find it HERE. I began by choosing my background paper, and cutting the die out of the center. I then adhered a piece of white cardstock to the back of it. and adhered it to the white cardstock in the opening. and placed it on a white card base. I added a pretty double bow to the top of the card. Finally, I added the sparkly bling. Here's a closer look at all the wonderful detail of the die. Simply beautiful Nancy and love the added sparkle/ribbon! Wonderful inspiration ... thanks!